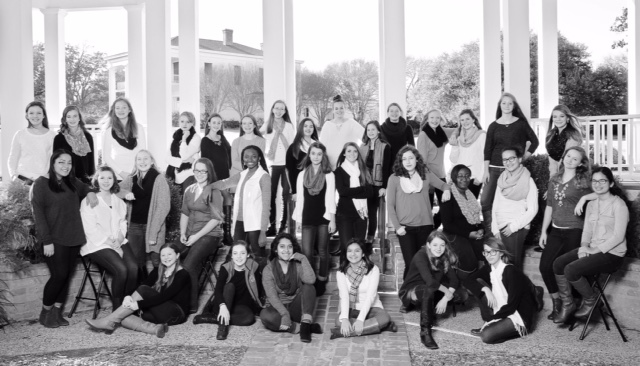 Midway Middle School Panther Chorale Girls’ Choir has been selected as one of only TWO treble choirs in the state to perform for the 3rd Annual MS/JH National Conference for Choral Music at University of North Texas, May 7th. The 34 member auditioned ensemble will be the very first to represent Midway Middle School girls at a conference as an honor choir! The choir was selected by a panel of judges who reviewed audio submissions from choirs all over the state. As with all middle school choirs invited to conference or convention performances, the current students have the singers from previous years to thank for the selection. Our treble choir tradition here has been consistently strong as a result of both talent, dedication and hard work. It was noted by the conference chair, Dr. Alan McClung at UNT, that this year’s treble submissions were of exceptionally quality and therefore highly competitive. These talented girls will present their entire conference concert on Sunday, May 1st at Woodway First United Methodist Church, beginning at 3 p.m. and ending at 3:30 p.m.